Dr Laura Smith-Khan is a Chancellor’s Postdoctoral Research Fellow at the University of Technology, Sydney. Commencing in January 2019, her research explores how Australian migration lawyers and agents communicate with and on behalf of their clients. 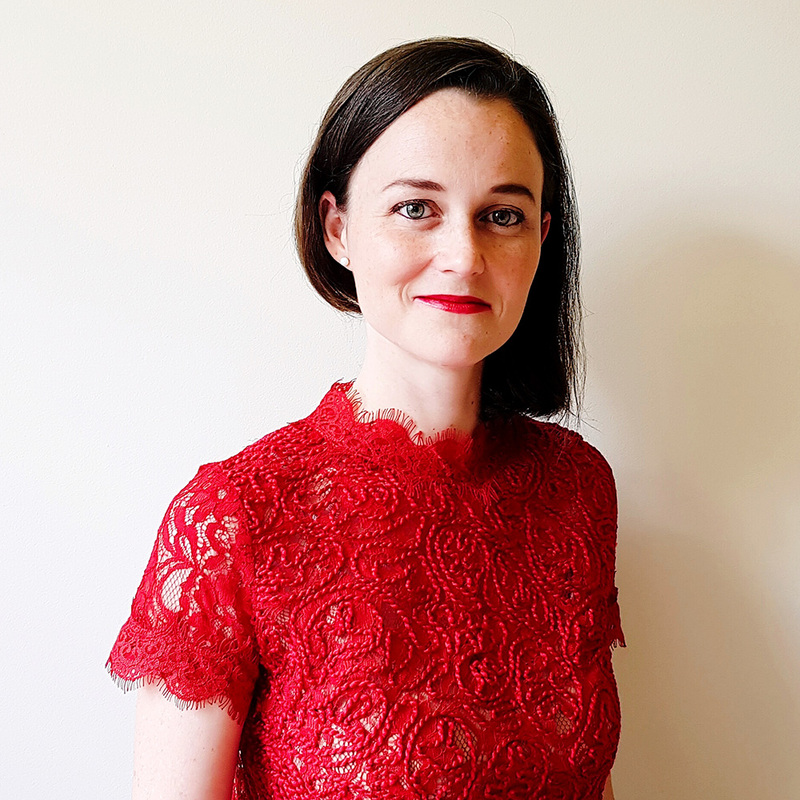 Laura's doctoral research (conducted at Macquarie University and supervised by Professor Ingrid Piller and Dr Daniel Ghezelbash) explored credibility, language and communication in Australia’s refugee policy, procedures and public discourse. She has published and presented her research across a number of media, both in Australia and overseas. She has also conducted multi-site fieldwork across six countries, researching disability in refugee camps and urban refugee settings. With Chief Investigators, Professors Mary Crock, Ron McCallum and Ben Saul, from the Sydney Centre for International Law, Sydney Law School, she has presented the project findings at the United Nations, at conferences in Australia, Europe and North America, and in published reports, peer-reviewed articles and book chapters. In 2017, Laura and the team published a book that brings together the project’s major findings. In 2018, Laura was commissioned to prepare a background paper for UNESCO's Global Education Monitoring Report. Laura is also a regular contributor to the online research portal, Language on the Move. Laura holds a Bachelor of Arts (Languages) (Distinction) and a Bachelor of Laws (Hons) (University of Sydney), a Graduate Diploma in Legal Practice (Australian National University) and a Master in Applied Linguistics (Monash University). She has been admitted as a legal practitioner in the NSW Supreme Court and has worked with refugees in a para-legal and pro-bono capacity. She has taught courses in Public International Law, Human Rights and Global Governance, Refugee Law and Policy, and Common Law and Legal Reasoning at Sydney Law School and Macquarie Law School, and assisted with research at Macquarie Law School and postgraduate and undergraduate assessments in the Department of Linguistics, Macquarie University. Crock, M, Smith-Khan, L, McCallum, R & Saul, B 2017, The Legal Protection of Refugees with Disabilities Forgotten and Invisible?, Edward Elgar Publishing. Engaging and thought-provoking, this book will captivate any scholar studying international law, development, disability rights and refugee and forced migration studies. © The Author (2017). Published by Oxford University Press. All rights reserved. There is a growing awareness of the challenges associated with communicating and decision making in the intercultural setting of refugee status determination processes. However, the way institutions conceptualize diversity has significant implications for how accommodating these processes will actually be of diversity, including in credibility assessments - a key component of many asylum regimes. This article aims to explore how Australian guidance on credibility for refugee review decision makers discursively presents diversity, and the impacts this has on decisions in which asylum seekers' credibility is a central concern. With reference to institutional guidelines, it identifies how applicants for asylum use the issue of diversity when seeking to overcome credibility issues, and how decision makers respond to this. The article argues that, far from fairly accommodating all the diverse participants who must navigate these procedures, institutional discourse on diversity can create obstacles for applicants when it comes to maintaining or re-establishing their credibility. It finds that this is due to clashes between the way the merits review tribunal understands diversity, and the way it is conceptualized and presented by applicants when explaining their experiences and motivations, and when challenging structural and communicative barriers threatening their credibility. It shows that decision makers and applicants are constructed as different types of people, with the latter assumed to be affected by, and inextricably tied to, their social and cultural difference, while the former are assumed to represent a 'normal' or neutral way of being and thinking. © 2017, © The Author(s) 2017. To secure protection in the global North, asylum-seekers must overcome restrictive government policies and present a convincing refugee narrative. Their credibility becomes their main asset and must survive the multiple challenges arising from intercultural communication and interactions involving multiple institutional actors. Aiming to explore the impact institutional understandings of refugee narrative creation have on credibility assessment, I present the findings of an analysis of a corpus of documents from the Australian tribunal responsible for the administrative review of asylum decisions. I critically analyse these texts to identify how the tribunal and its agents discursively present the various actors involved in asylum appeals. I argue that despite the cautions of existing scholarship, these texts present the asylum-seeker as the sole author of the final refugee narrative, regardless of the role that decision-makers and other actors, such as lawyers and interpreters, play in its co-construction. Thus, the institution places disproportionate responsibility on the asylum-seeker for communication outcomes, creating significant challenges for their credibility. Smith-Khan, L 2013, 'Overcoming Barriers to Education for Refugees with Disabilities', Migration Australia, vol. 3. Smith-Khan, L 2012, 'Genuine Improvement or Paying Lip Service? Conquering the Communication Complexities in Protection Assessments', Migration Australia, vol. 2, pp. 58-62. Crock, M & Smith-Khan, L 2016, 'Swift and systematic? Identifying and recording disability in forced migration' in Altman, B (ed), International Measurement of Disability Purpose, Method and Application, Springer, Switzerland. This volume provides an informed review of the accomplishments of the Washington Group on Disability Statistics (WG) in the provision of international data and statistics on disability. Smith-Khan, L 2018, 'In search of a language and an identity'. Smith-Khan, L 2018, 'Interview on Breakfast with Joanne Shoebridge', ABC Radio North Coast. Smith-Khan, L 2018, 'Refugee discourse, the media and communicative resources: the case of 'Abyan''. Smith-Khan, L 2018, 'Schooling challenges of multilingual children'. Smith-Khan, L 2017, 'Are we all different in the same way?'. Smith-Khan, L 2017, 'Forgotten and Invisible? The legal protection of refugees with disabilities'. Smith-Khan, L 2017, 'Telling stories? Credibility in asylum interviews'. Smith-Khan, L 2016, 'Crucial communication: Language Management in Australian asylum interviews'. Smith-Khan, L 2016, 'Different in the same way? Accommodating language, culture and disability in refugee assessment procedures and humanitarian assistance'. Smith-Khan, L 2016, 'Truly deserving? Credibility assessment in Australia refugee procedures'. Smith-Khan, L 2015, 'Discrimination by any other name: Language tests and racist migration policy in Australia'. Smith-Khan, L 2015, 'Don't know what 'jurisdictional error' means? Some people's future depends on it'. Smith-Khan, L 2015, 'Fair go? Communication and credibility in Australian asylum procedures'. Smith-Khan, L 2015, 'Interviewing refugees with disabilities: How context affects communication'. Smith-Khan, L 2015, 'We all have a culture, we all speak a language: the Australian legal system discusses diversity'. Smith-Khan, L, Crock, M & McCallum, R 2015, 'Persons with Disabilities in Humanitarian Response: Case Studies and Good Practices'. Abbas, F 2013, ''Laura committed to improve procedures to identify, protect refugees with disabilities'', Pakistan Special, pp. 5-5. Tong, K 2013, 'Asylum Seekers: A Compassionate Approach', Hope 103.2FM. Smith-Khan, L, Crock, M & Sario, K 2012, 'To 'Promote, protect and ensure': Overcoming obstacles to identifying disability in displacement situations'. Smith-Khan, L, 'Susanne van der Kleij, Interaction in Dutch asylum interviews: A Corpus study of interpreter-mediated institutional discourse. LOT dissertation series. 2015, Netherlands Graduate School of Linguistics/Landelijke (LOT) (book review)', Linguist List.